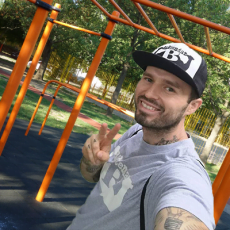 The Free Sport Parks and Norbert Radányi try to help with the “Train Smart with Norbert Radányi in Workout Park” video series in order to popularise the training parks’ equipments by basic exercises. The Train Smart Workout Park video series was created by contribution of Norbert Radányi (Bartendaz Founder and Personal trainer). IMPORTANT, this series doesn't replace a trainer's job, as these videos provide only guidance for the basics.